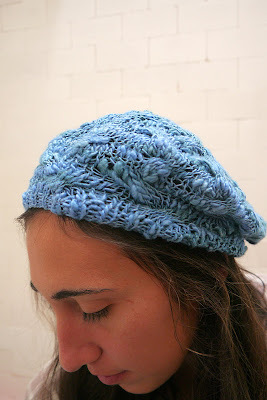 Star-Crossed Slouchy Beret, using Brooks Farms Ellie. I will confess, there was a bit of a kerfuffle as I was closing it up and I did have to pull out a few rounds and start over, but I'm convinced that's because dpns are stupid and the thick-thin yarn makes it hard to see where all the stitches are exactly. 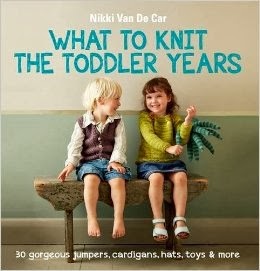 But I'm still mostly going to be knitting for me. And so I've cast on Paper Dolls. 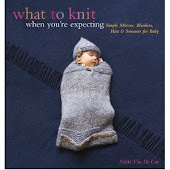 I've been an enormous fan of Kate Davies' for, oh, ever, but I've never knit a thing. Not even Owls, since it wasn't until I birthed a little owl that I really came to appreciate them. I have always noticed a level of detail in her designs, and attention paid to construction and embellishment, that you don't see often--the one comparable designer that comes to mind is Kim Hargreaves. And so I knew when I began to cast on that I was in for a long haul of a project, and, as with Kim Hargreaves' patterns, I would probably be very irritated at some point along the way, but very, very happy with the result. Two and a half hours later I finished casting on. And here, days later, and I'm still working on the ribbing at the bottom edge. Yep. I'm not complaining, I'm just saying--I told myself so. Very nice! I really like the color! good luck on Paper Dolls. I can't wait to see it finished. It looks awesome.